If you are looking for a tool that can help you automate your documentation processes or if you want to save more time and money by automating your working procedures like integrating PDF functionalities in your applications, processes or products – you would probably need a tool like ByteScout PDF Extractor SDK. Today, we’ll check its opponent – iText – and we will compare both tools. Here are detailed features and comparison of these two products. But before that let’s take a look at what exactly they do. extract and convert tables to CSV. The great thing about PDF Extractor SDK is that it works without any additional software and completely offline. Like ByteScout PDF Extractor SDK, this tool also allows users to automate complex document processes. With its help, you can split or merge documents, copy, import or title pages or enrich structure and edit content. This tool also allows its users to integrate PDF functionalities in various applications, processes or products. PDF Extractor SDK is created for developers so that they can convert PDF to text, extract images from PDF, convert PDF to CSV for Excel or PDF to XML It is a document management tool created to simplify the processes of PDF creation, conversion, and interactivity. This platform is for .NET, and ActiveX/COM and it does not require any other applications like Adobe installed or any other software. This platform is written in Java and .NET and it enables users to integrate PDF functionalities within various applications, processes or products. It has a friendly user interface. It allows users to operate a toolkit swiftly even if users are a beginner at coding. 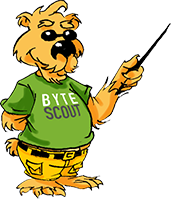 Cloud REST API includes PDF functionalities of ByteScout PDF tools. It creates applications fast because of its programming module. PDF’s take less time and the iText API can also create a PDF with only 5 additional lines of code. The great thing about this tool is that it is a mixture of advanced technologies based on experiments. With the help of iText, users can optimize invoicing and create their PDFs with more elegant typography. ByteScout PDF Extractor SDK serves across the globe, including logistics, healthcare, insurance, banking, automotive industry and FinTech companies. iText can be used by users who belong to finance, government, technology and logistics sectors. It can process millions of PDF documents. It can also extract plain text from PDF files even so encoding converts PDF to Excel, PDF To CSV, PDF to XML extract and transform tables to CSV which can be smoothly converted to MS Excel files. It can also create and convert documents from XML, HTML, web forms, CSS or databases to PDFs. It can merge or split documents so that they can be managed easily. It works smoothly with all character encodings and it can also work offline without Internet connection. It can also split or merge documents, copy, import or title pages or enrich structure and redact content such as barcodes, watermarks, and stamps. It repairs invisible damaged texts. It can also process damaged files that have a tedious structure or those files which users have to process manually. It can also find and correct bugs as users create PDF. With the help of this tool, users can create more elegant typography and also secure their intellectual property. It can extract PDF metadata and can convert tables to CSV and can also extract embedded images. It also allows users to extract core contents such as recognition process of text and images. It has ActiveX interface emulation with .NET support (2.00 to 4.50). It also allows text recognition from the image (OCR in PDF to text). It gives a framework to search data inside PDFs, based on searching rules that users define in a template. It can be deployed on Cloud, SaaS, Web. It can be deployed on web, mobile, and cloud. It can swiftly handle badly scanned documents. It works flawlessly under pressure. It is amazing for processing large quantities of PDF reports, indexing large PDF libraries, and much more. Its add-on allows users to generate invoices that are suitable with the ZUGFeRD standard, and are globally readable by man and machines. Availability of source codes and documentation make it easy to use. It has various ready to “copy-paste” from source code samples which are suitable for beginners. iText’s library has features which can be integrated by coding into any web, mobile or a cloud platform. Works in .NET and ASP.NET. Also available as ActiveX/COM object for using from Delphi, VC++, VB6, VBScript, JScript and various other languages. The library is brilliantly designed and easy-to-use. It includes functions to extract text, images, tables, text from images, raw images, forms, and field data. Only useful for small and medium businesses. It can turn users archives into well organized and compliant data that can even be read by users with visual impairments. If you want to use it under proprietary conditions – you have to purchase an iText commercial license. Try Free SQL Trainer - learn SQL by doing in simulator! Free Data Playground - upload CSV and sort, filter, view data using natural language. Try PDF.co - free sign up - online tools for small business: e-signatures, invoices, documents tranformations. No credit card required.